WRC investigations manager Patrick Lynch says the council initiated a strategic, risk-based approach to farm monitoring in early-2018, which involved prioritising those farms with less than seven days’ effluent storage, or likely to irrigate onto saturated soils or with a history of non-compliance. Patrick says the council adopted the risk-based approach so it could direct resources where they were most needed. WRC farming services team leader Stuart Stone says at December his team had completed 239 inspections of high risk farms since July 2018. Stuart says there were some really good examples of best practice infrastructure on farms in the region. 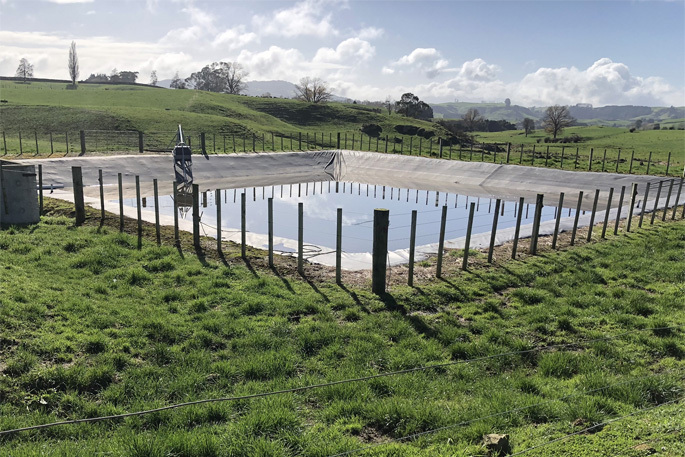 “Some systems are only providing a couple of thousand litres of storage, at best, and servicing large herds. These are the systems that we would say are only one-thousandth of what they should be,” says Stuart. Patrick says during the last five years the council had taken about four or five prosecutions relating to dairy effluent each year. “Already this year we have commenced nine prosecutions and are formally investigating a further 16.